The south facing memorial window was installed in 1925 in memory of Rev. Alfred Holling, Minister from 1876 to 1911 - the church's longest serving minister. The four panels, from left to right, show Faith, Christ as The Good Shepherd, Christ as The Light of the World and Hope. 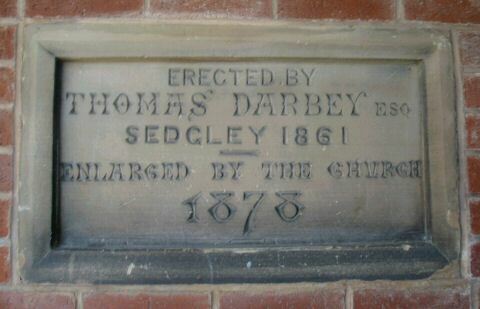 Corresponding panels at the base are in memory of Paul Turner, Thomas Darbey Wilkes, Alfred Holling and Stephen Wilkes. The last named was the son of Stephen Wilkes founder of the church. 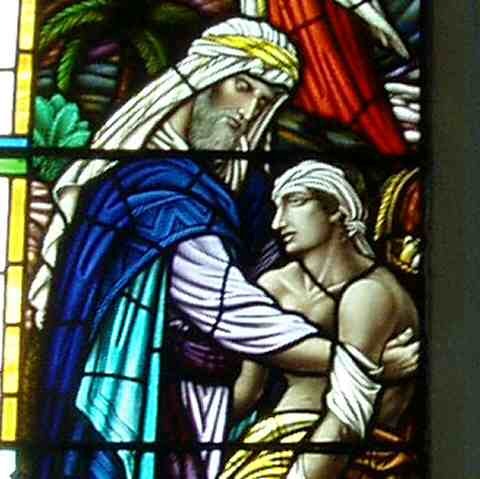 The east facing two-panel memorial window depicts 'He that shewed mercy on him'. It was installed in memory of the Rev. T. J. Morgan, Minister from 1928 to 1939, by his widow and daughters. 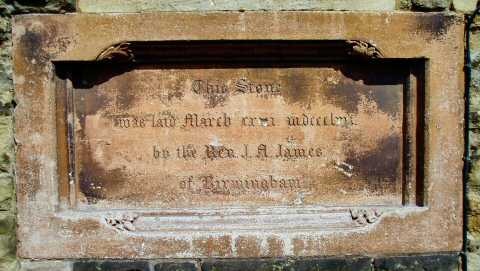 The weathered external foundation stone shows the date in Latin numerals - March 23, 1857. The Rev. John Angel James of Birmingham performed the ceremony. Two foundation stones have been transferred to the walls of a short corridor leading into the church. 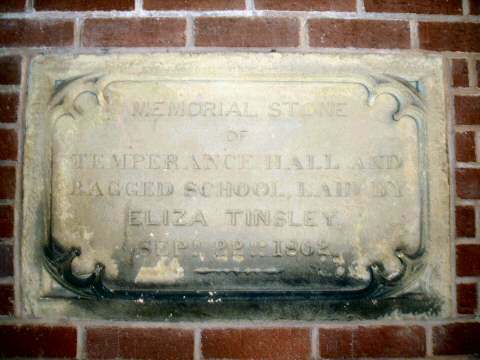 On the left is the stone removed from the Thomas Darbey School  and on the right the stone from High Street's Temperance Hall & Ragged School  taken over by the Methodists in 1903. Both were preserved when the buildings were demolished in the 1980s. * Eliza Tinsley, nicknamed 'The Widow,' was a leading employer in the nail making trade and in charge of about 3,000 workers. She successfully carried on the business after the death of Thomas, her husband. In the foyer is the striking glazed tile mural created by William Burgess in 1984. The central figure of Saint Andrew is flanked by the High Street and Bilston Street churches at the time of Union and outer rings are filled with an array of images depicting local industries and landmarks. The fossils and flora of Sedgley Beacon are also featured.